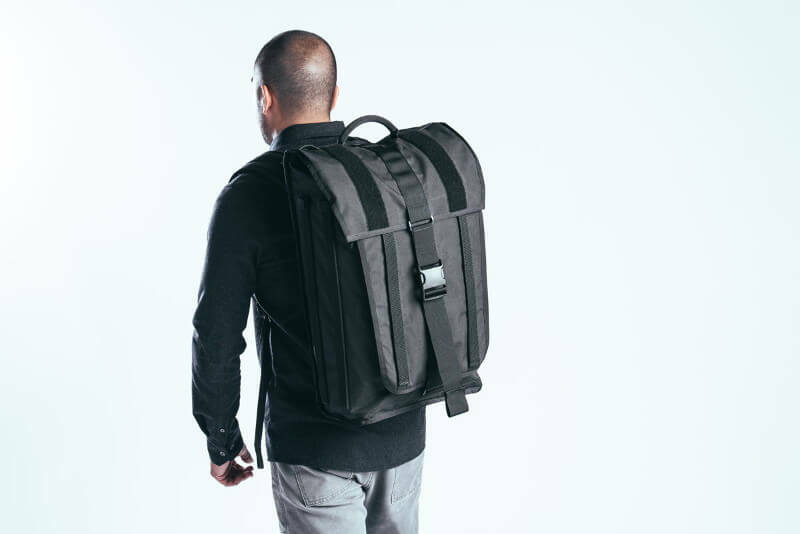 San Francisco-based weatherproof bagmaker Mission Workshop has added the Radian Travel Pack to its lineup. The 42-liter Radian is compliant with most carry-on regulations and is designed as an all-in-one travel solution. 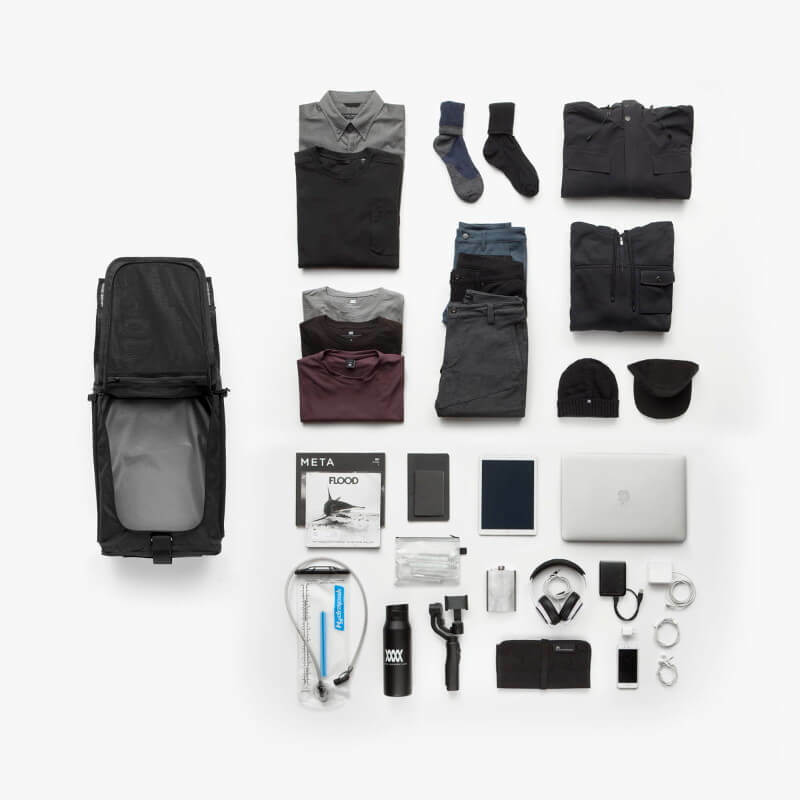 Along with its unique minimalist styling, the Radian has some special features that set it apart from other carry-on backpacks. 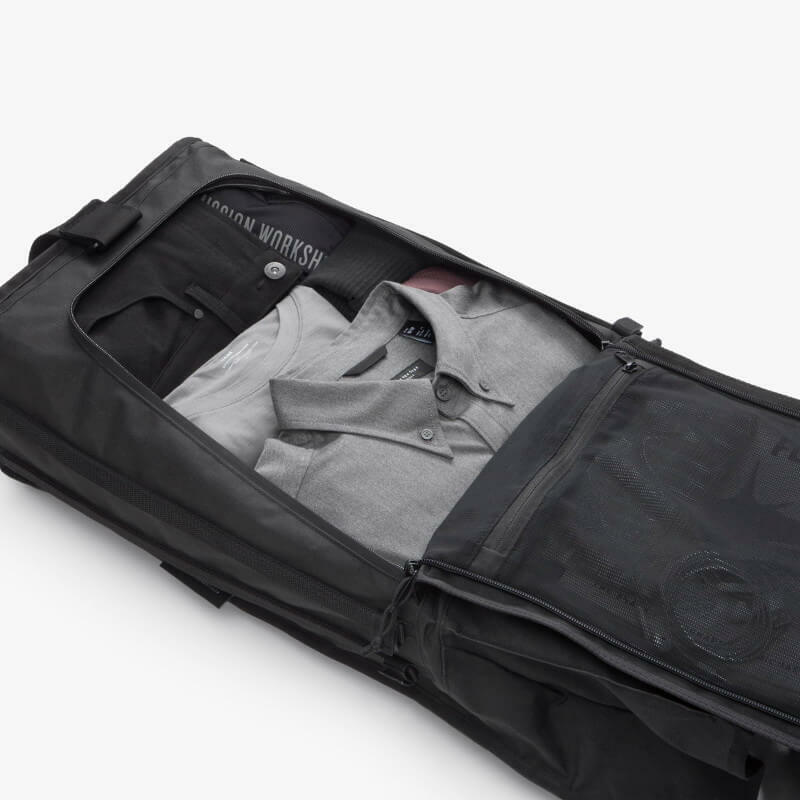 The bag’s main compartment offers both roll-top access along with zippered horizontal access like a traditional flat suitcase. The roll top can be used with or without velcro. 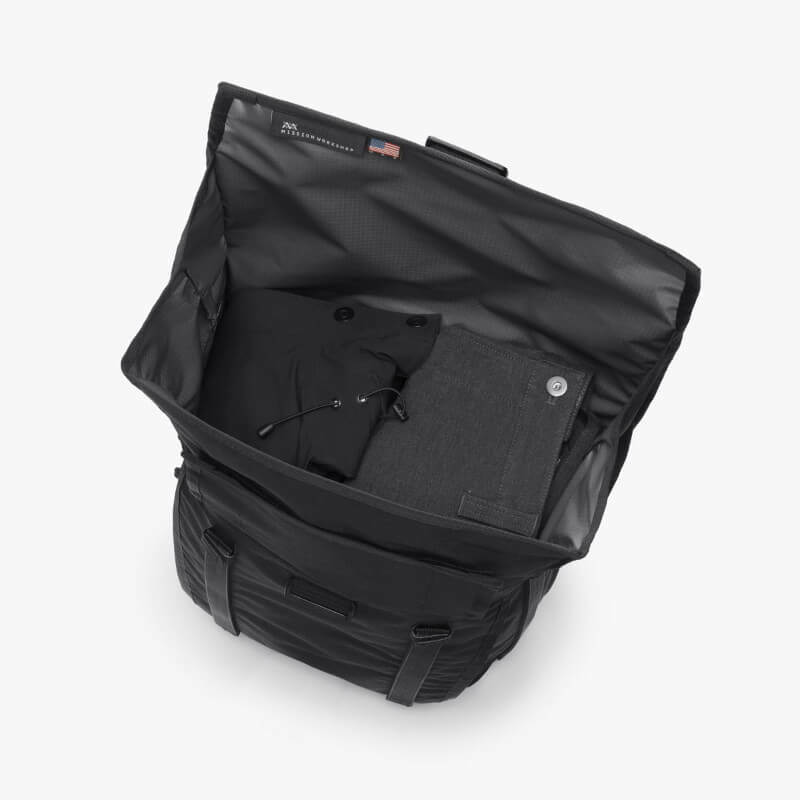 The Radian has dedicated 15″ laptop, iPad, and water bottle pockets. There are also zippered interior organizational pockets for smaller items and accessories. The Radian is meant to be a one-bag solution and eliminates the need for any side bag. 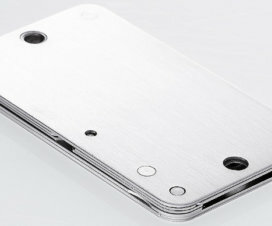 An internal aluminum frame provides support when used as a backpack. 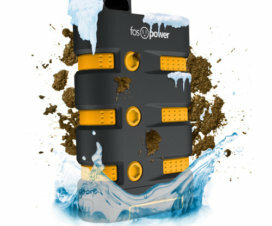 The back harness is adjustable to accommodate different body sizes and an optional waist belt is available. The shoulder straps are also fully concealable behind a zippered panel. 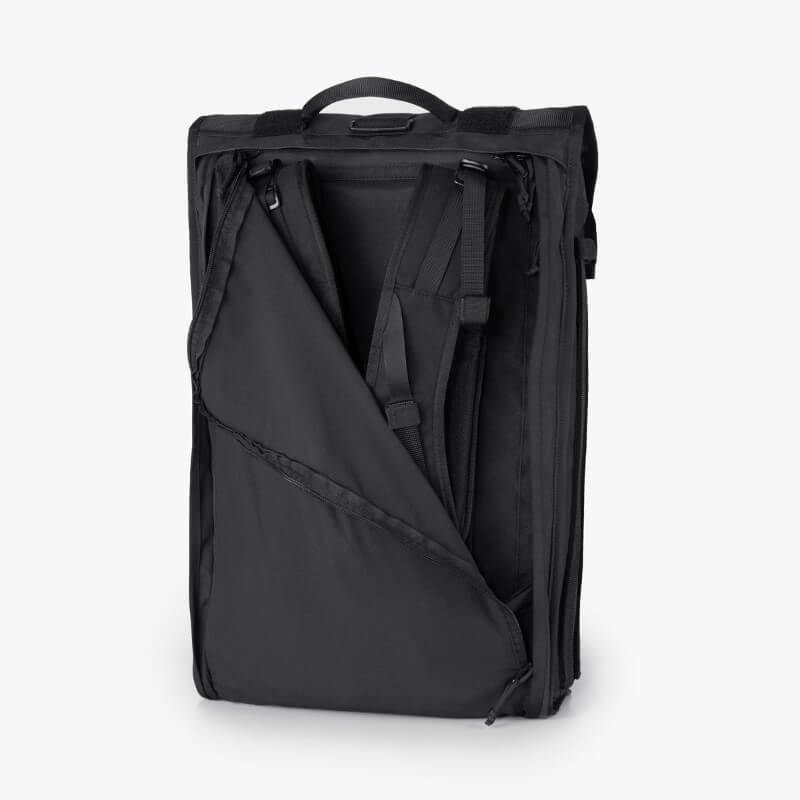 The Radian is also fully compatible with the Arkiv Modular System, which allows additional compartments and accessories to be attached to the bag’s six rails. 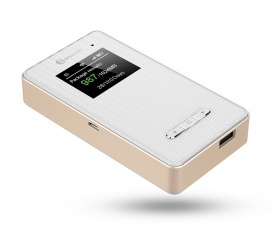 Options include an extra laptop compartment, more easily-accessible compartments for smaller electronics and accessories, and a shoulder strap. 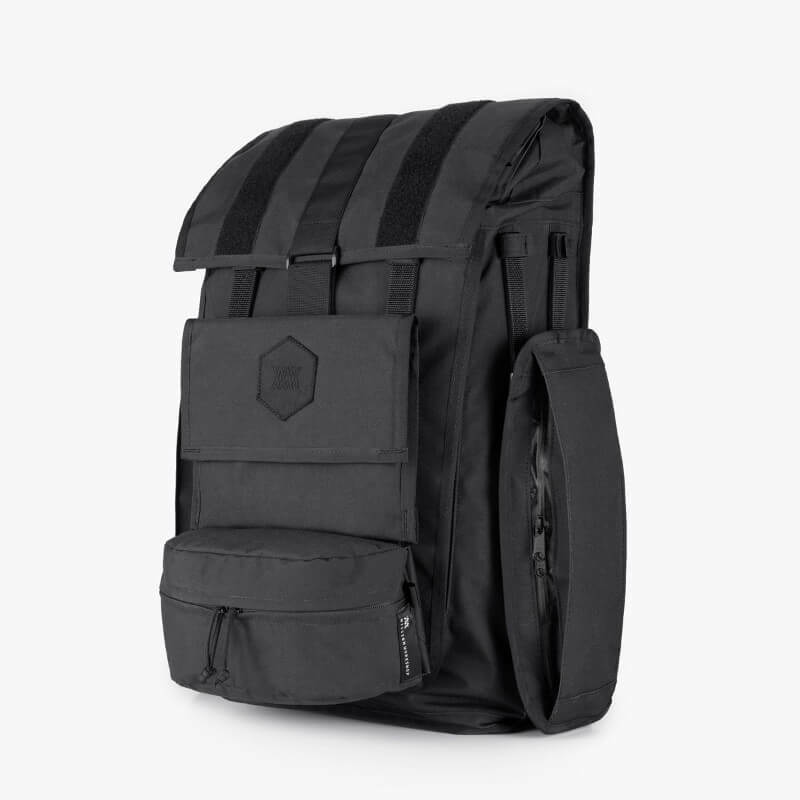 The bag’s main body is constructed of Mission Workshop’s advanced lightweight HT500 textile which has a water-resistant coating and is resistant to abrasion and tears. The Radian Travel Pack is manufactured in the USA in small batches and is available in three colors: black, gray, and black camo. 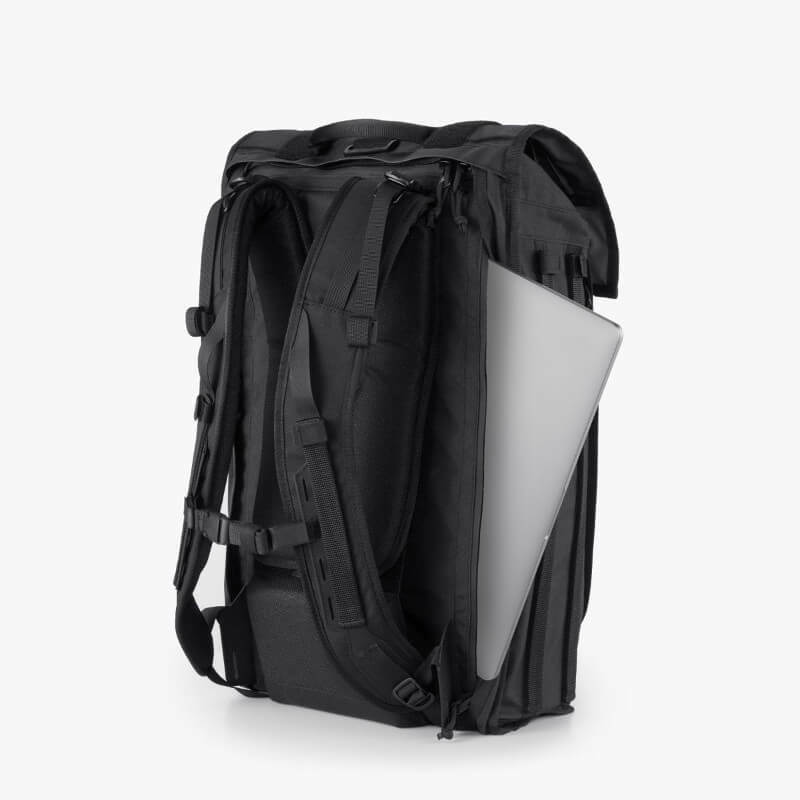 It retails for $585 (pre-orders are currently available with $100 off) which is on the high side for a carry-on backpack, but not outrageous considering its versatility and build quality. The Radian includes Mission Workshop’s Guaranteed Forever warranty, which provides repair or replacement for failures that are a result of defects in materials or workmanship. For more information and to order the Radian Travel Pack visit missionworkshop.com.